This is a unique perspective on a fishing boat undergoing a refit at the Melville Boatyard on Narragansett Bay. 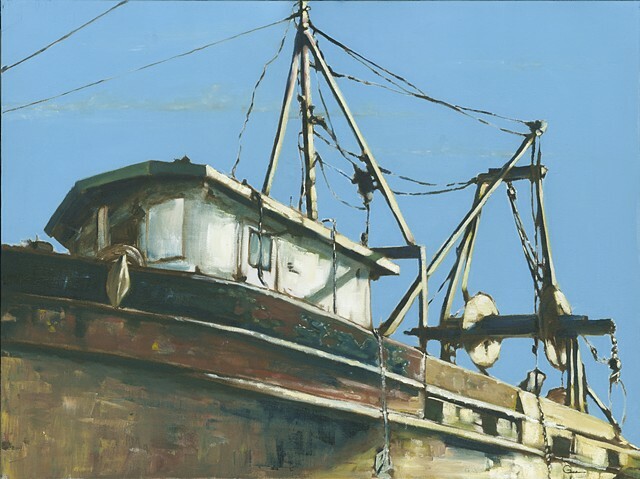 The simple light blue sky provides a stark contrast to the strong brushstrokes and warm hues of the rigging and the aged hull. It is this struggle between color opposites and contrasting textures that gives this boat its working class credibility and visual appeal.